An expert in software as a service, Paul Clifford shares his effective approach to building your own successful software business. 03:34 – Who should be building software businesses? 15:15 – Will your prospects be willing to pay for your product? Can you build a software business? [Click To Tweet]. The great thing about a software business. [Click To Tweet]. The best long-term marketing tactic. [Click To Tweet]. What do customers really want? [Click To Tweet]. James: James Schramko here. 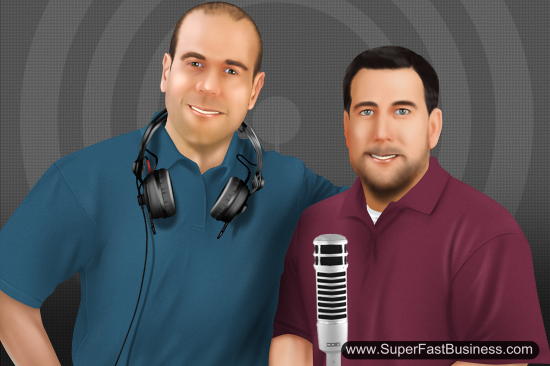 Thank you for listening to SuperFastBusiness.com. And I’ve got another interview. I’m really out about finding people, digging up the talent and also, some different topics. And today’s guest is someone who I was hanging out with at a recent conference in San Diego, sitting in the back of the room, discussing this enamoring topic of software and how you set up software development. It’s a fascinating topic so I brought onto the show an expert in this subject, Paul Clifford, welcome. Paul: Hey James, thanks for inviting me in the show. I really appreciate it. Paul: Yes. Absolutely. Essentially, my background has always been in software, especially in the SaaS market. SaaS stands for Software as Service, so essentially, a software delivered on the Web. What happened, my last SaaS business where I was actually an employee, we sold that company for like $38 million and since then I moved and started on my own and started doing online marketing and how to sell online and everything like that. And I started building some apps, some content marketing apps, I’ve got a keyword tool, some security software and I got another SaaS app in progress. What I really found is that, in the marketing world, a lot of people are coming to me asking, how do I do this, how do I do that. There’s lot of people launching their apps, which really, they built on sand. They fall over after a little while. My approach really is to build a software business. You got this opportunity now where you can really create software much faster, easier and cheaper than ever before which means it is also easy to go wrong, right? James: Nice. I’ve seen some really good examples of one of my regular guests in this show. He’s Clay Collins. And he built the LeadPages and that is probably one of the greatest success stories I know. It is now one of the top 1000 websites in the world now. James: As an app. As a software. As a service. It’s so sensible and he really jumped from this marketing crowd where there’s a lot of WordPress plugins into the online app space and he went up the category and something struck my mind while we are sitting in the conference there with about two and a half thousand attendees, you said to me, well, “this is a very small market for you.” Who do you think you were talking to here? Paul: In terms of the software? James: Yes, who should be building software businesses and paying to the stuff you were talking about? Who’s your target audience? Paul: Right. So, there’s two kind of levels for everyone who wants to get into software, and my network again has two strings to it. I’ve got the marketing world which I’ve seen grown up with over the last few years and there’s all the people who just really want to get into it. They started creating desktop apps or plugins or things like that. I really want to know, how do they scale that, how do they take that to the next level? And how do they get into SaaS? The other side is any entrepreneur or info marketer who wants to create a real business that isn’t something that’s just gonna fall over next year, something that they gonna keep working at. The great thing about creating a software business is that there are so many ways you’re connected from it or not at all if you don’t want it. You can create a lifestyle business or you can create something to sell. Either way, it’s like a real business. OK? And all you gonna know really is, is it gonna work? Is your idea gonna work? And how can you build it? James: Well, it sounds very simple there. I think we should dig in to that. I know there’s courses on this, I had guests before from The Foundation and that was a pretty popular course certainly in the marketing space and I think the appeal was that you didn’t have to have an idea, you didn’t have to have money, you just have to follow the course. Can it be that simple? Paul: To a certain extent. What we have to remember is that the whole world of software has changed radically, especially for the last three or four years and a lot of this has come from a movement called the Lean Startup by a chap called Eric Ries. And what was happening basically is you know all this startups in the old days they required huge development teams, huge money and you never really knew if this is gonna work. When I was in my corporate days, I had a development team of 40 people and it took ages to get stuff done and the Lean Startup Movement is about getting the minimum possible product, even on paper or even on Powerpoint to a certain extent. Getting your idea to something that you can test with the customer or with the prospect and the sooner that you can create something, that you can communicate your idea to a customer, and workout, is this really gonna solve the problem? Then the more your whole business model becomes validated. James: The minimum viable product. Paul: Exactly. The minimum viable product, or MVP as it’s called. Because what you have to remember is that 75 percent of startups fail and it sounds like a huge number and the key to understand is that the people who actually succeed in that remaining 25 percent, their Plan A, their original idea isn’t actually their success. The idea is you create your Plan A and whatever is your original thinking is, it will evolve into Plan B, or your Plan C. Whatever that is, it’s going to be the business you are going to end up with. For example, if you look at some big successes, they never started like that. Like Hotmail. Everyone knows Hotmail. But it never started as a mailing app. They started that, it was called, JavaSoft. What they wanted to do is create a database that can be accessed through the Web. Their challenge is actually connecting to the email accounts. After they went live with JavaSoft, they realized, “hang on, the email list is more of a pressing issue. Let’s do that instead.” And that’s how Hotmail came about. Even Paypal never started as an online money transfer system. It actually was meant to be, it started as a cryptography software for Palm Pilots so they could actually, like, beam software to each other. They dumped the idea and took it to the Web and of course it exploded. The point is that the people who have the great success, they don’t have the great success from day 1. They start off with the Plan A. The trick is to understand when to switch to Plan B, or when to switch to Plan C. It’s always evolving, and in the Lean Startup world, he calls this pivoting, or pivot. So you know the key thing is to build is something as quickly as you possibly can and as cheaply as you possibly can. Nowadays, it is much easier to do that than it has ever been before, because of the global economy and outsourcing, you you’ve got these freelancing sites or you can partner up with someone techie. You can build something up really, really quickly out of your own pocket and start testing that on your potential customers and validate whether it is something that is going to solve their problem. Do I make sense, right? James: It does make sense. What you’re saying is that there’s going to be reiterations from where you start. So, you start with something and it’s gonna evolve. I’ve heard that term build-measure-learn loop. So you build something, you measure the results, you learn the outcomes and then you can make decisions from that. I guess to some extent, that’s pretty much how I’ve run my business from a strategic point of view. I’ve built out services, I put out information products, I measure all the stats and downloads to see what people want to buy and make decisions based on that and it’s exactly the same for software. It sounds easy, you’ve got all these global outsourcing talent. You’ve got software designers who can design stuff. You don’t have to bring too much to the party because your customers are going to validate your ideas. What would be the sequence of events that someone who’s starting, if they have blank whiteboard in front of them, what are the steps? Paul: For the people who have no idea what they want to do, let’s just cover that for a second. I see two fundamental approaches that you can take. The first one is what I call invent it by the wheel, you can take something that’s already working, so it’s already selling, from some other competitor. By knowing that it is already working and it’s successful, you know there’s a market there and there’s an appetite for it. All you have to do is to really analyze how you can make it better, how you can make it quicker or how you can make it easier to use or perhaps, how you can take that to a different market and niche down really, really small into a specific market which you have knowledge in. I think there’s a lot of people who want to be entrepreneurs who might be in the corporate world at their desk job and thinking I just don’t have that great idea. When you really get head around it and I understand that it’s very rare to get that great idea. I mean Google wasn’t the first to search, right? They weren’t the first but they took something that is already there in Yahoo and made it much, much better. Look at Apple and the iPod. There were mp3s around before the iPod came to be. James: We were talking about that today with a friend of mine and I realized that half the people listening to my show don’t even know what a Walkman was. That’s embarrassing. Paul: I remember those, the Walkman then the Discman. That’s one way you look at it – invent it by the wheel. The other thing which is a little bit more unique, when you want to do something, when you recognize that there might be a gap in the market and you need to really find that pain within your prospects. To do that, and I suggest you do that if you know the market and if you know the industry you are in and you’ve got a good understanding. What you need to do is to ask these prospects and question whether the pain really exists and if the pain exists, whether it is monetizable. You need to ask how they are doing this thing now, how is it costing them, what’s the labor costs in reality. When you start asking those kind of questions, don’t ask the solutions, you just want to ask their problems. Then once you identified that and once you understand that it’s a real monetizable problem, then you can start looking into the solution for it. If you start asking them for solutions, people will say the wrong thing and they will throw you off the track. Henry Ford was famous for saying that his customers don’t know what they want because when he went out and ask the people what they want, they said faster horses. James: We need to check if that’s a true quote or not but I totally get the point of it. And Steve Jobs who was of a similar ilk, he was not really worried too much about what people wanted. I think he was insistent on not allowing for people to have a stylus and he just wanted one button on the iPhone. He could see forward but I guess it was kind of hard that he wasn’t really big on market research in terms of bringing in groups to tell him all about what they wanted either. How did he he innovate and get ideas?. Paul: But they were geniuses, they were very very clever people right? When you think of it broader, around people like you and I how can we actually go? I’m not saying you are not a genius. James: Oh, you know I was just thinking about that, as a matter of fact. Obviously, we’re implying that none other of our listeners are and probably some are. Just on that actually, one of the interesting facts about Henry Ford that I didn’t realize until I watched the very long documentary about him was that he built this huge factory that could build a thousand cars a day and he hated it. He felt sick about what he built in hindsight. So he actually did make that mistake you’re talking about earlier, putting in too much effort and building something too big until he discovered that it wasn’t actually what he wanted in the end. Paul: Right. Right. That’s interesting. So I guess, the covering off the idea part, once you have that, the critical thing then is really to turn that idea. Get it out of your head into something, on paper, on screen or on your computer. So you can actually start evolving that into something workable and in the business, we call that a wireframe. So you start designing a wireframe. I use a tool called Balsamiq, online Balsamiq and it’s a really fast way to mock up screens. What’s really good about that is that it validates how this thing is going to work to yourself even before it goes to any developer. When you start drawing this thing, you start to realize whether the screen should have this or this button, or whatever. And the whole thing will start to come alive as you designed it on your screen. And with Balsamiq, what you can do is that you can link the screens together behind certain buttons. Let’s say, you put a button on the screen then you can link that to another wireframe and after a little while, you end up with a clickable wireframe, you start seeing it come alive. Once you have that, something clickable starts to make sense not only to you, but also, that’s something you can actually take to your prospects. You can actually take that to your market, it’s clickable and it really helps again to communicate your product to your potential customers and work out with this and see if it’s going to solve their problem. More importantly, are they going to pay money for it? James: That’s very cool. You can start showing people your concept before you have to pay someone to build it all. James: I remembered James Dyson talking about this. I had him come along to my FastWebFormula event and share his million-dollar software secrets and he had also mentioned that you can build out stuff on Keynote or Powerpoint to show people a mock up of whatever the screen would look like as well but the link button sounds fantastic. What a timely interview James! Thanks again! Just this week I had a realisation about some software I want to create which will fix a massive problem I and many others are having in the same position and save people thousands if not tens of thousands with a process I’m going through at the moment which I’ve found a great way to improve. Now I know who will help me make my software project a reality! James, I hope people realise that they need/continue to subscribe to your content as you are a filter for finding high level businesses for us all who listen in to benefit from, for various products and services. If you’ve interviewed them, that already qualifies them to me that they’re going to be right for the job. A BIG thanks for your continued prolific content! Thats great Angelo..look forward to connecting.